I had the pleasure of attending a Spanish Themed evening. The evening hosted by the Inner wheel Club of Atherstone was to raise funds for the Canine Partners. The spread of food from Spain or of Spanish inspiration was truly fantastic. All the guests seemed to enjoy the event. Many of the guests dressed in Spanish outfits and really got into the theme of the evening. 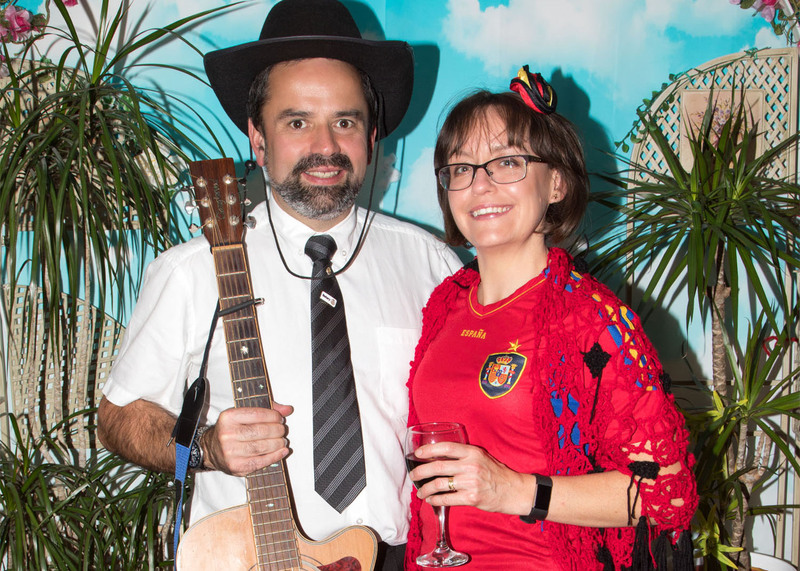 Part of the evening was a Spanish themed photo booth, and the guests enjoyed seeing the photos, and being able to take them home with them on the night.